Ireland’s music, cultural and entertainment landscape is a much poorer place today. John Reynolds made a massive difference and it’s only now, after his untimely death at just 52, that we can fully appreciate how he forever changed the game. 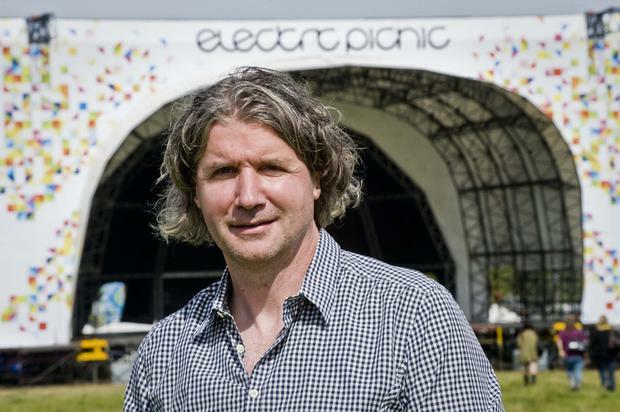 Not only did he create many of the festivals we know and love - not least Electric Picnic - but he helped raise the bar when it came to venues, club nights, arts festivals and standout music events. And one of his ‘babies’ takes place this very weekend - Dublin’s ‘winter music festival’, Metropolis. He always wanted to do really good work - even if that meant having to spend more money than might have been wise. When he created Dublin’s PoD nightclub in the early 1990s, he had the chutzpah to take the disused Harcourt Street train station and transform it into one of the best clubs in Europe. He had Philippe Starck design the place. He wanted to give Dublin revellers the very best. Reynolds loved what he did. I remember seeing him at a wonderful show LCD Soundsystem played in his now long-gone venue, Tripod (in the old PoD complex). The set was so compelling that nobody was bothering with the bar. A money man might have fretted about the low takings, but Reynolds was just thrilled to have one of the finest acts in the world deliver incredible memories in his venue and at his show. He was always looking for the next thing. And he found it with All Together Now earlier this year. It was a brand new festival held in the stately grounds of Curraghmore House in Co Waterford and it felt like an early Electric Picnic. There was huge enthusiasm among those who attended and the it’s likely to be a significant staple in the Irish music calendar for years to come. Reynolds wanted to create great events - but he wasn’t afraid of criticism either. It’s often forgotten that his first Electric Picnic - a one-day special - was very pedestrian. I wrote a scathing review the next day, picking apart all the aspects that were found wanting. Months later, he flattered me by saying that he had had the review blown up big and a checklist written out to ensure that some of the faults highlighted wouldn’t happen again. The following year’s festival was transformed and would become the benchmark by which all over multiple day music events in this country are judged. Many will have specific memories of the stand-alone shows he put on. One of the greatest was Leonard Cohen’s first Irish show in more than two decades. The setting was special - the Arcadian grounds of the Royal Hospital Kilmainham. Cohen and his band were incredible. I’m getting goosebumps just recalling the magic of the night I saw him play there. In a world in which promoters are backed by huge global conglomerates, Reynolds seemed like small fry. But his ideas weren’t small. Nor was the execution. He showed that it’s possible to dream big - and deliver time and again. Thanks for the memories - and a legacy that will live on.